Painting on terracotta plates. 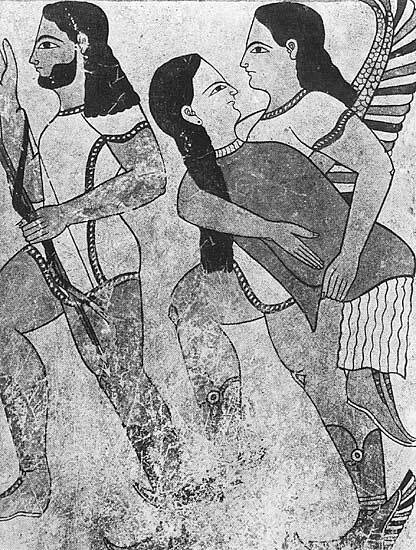 7th — early 6th century BCE. Transference of the dead woman’s soul. From the tomb in Cerveteri (Caere). © Photo, text: G. I. Sokolov. Iskusstvo etruskov. M., Izd-vo “Iskusstvo”, 1990, s. 41, il. 21.